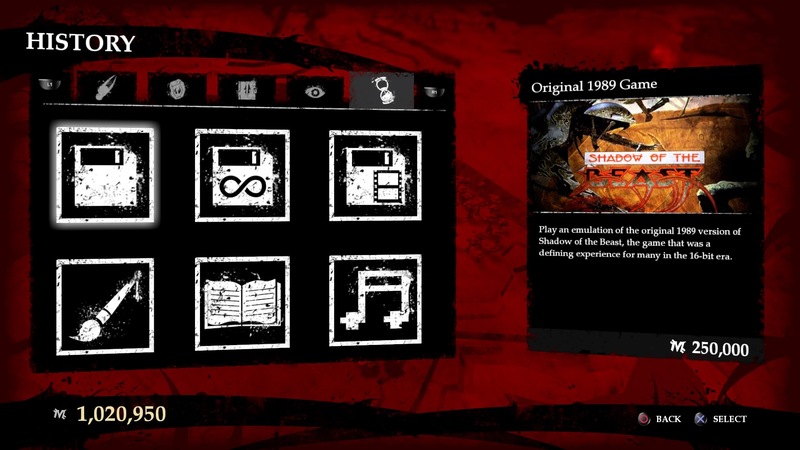 Shadow of the Beast is a reboot of a 1989 Amiga title that I’m not quite sure ever released outside of Europe until the Genesis port hit North America in 1991. Even then, the port wasn’t given the proper shift from the base 50hz of Europe to the 60hz of North America, so this already difficult game ran 20 percent faster and was nearly impossible. I bring all of these factors up because it’s a weird title to reboot and an even weirder title to have the backing of a worldwide release from Sony, but that’s exactly what happened. I think I can see why. 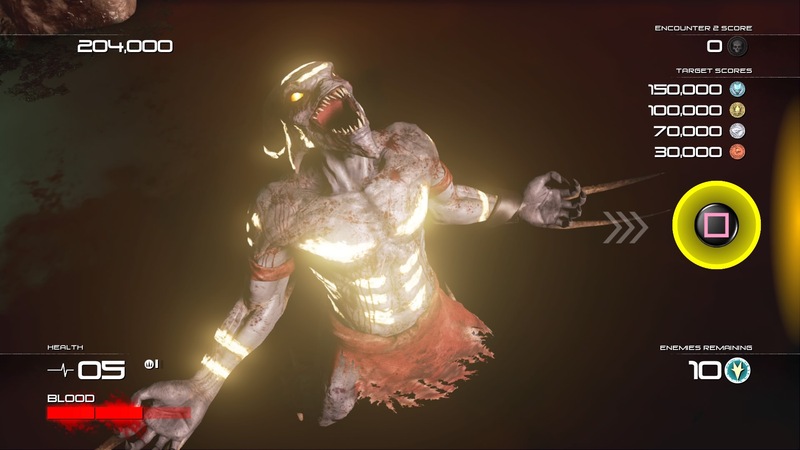 Shadow of the Beast is a timing-intense action title that manages to balance the nostalgia for the original while also retaining the changes in game design over the last 27 years to make a standalone experience everyone can appreciate. This is what it means to reboot a franchise and make it better than the original. At its surface the game does retain its origins – and my American may be showing a little, but these are origins I was completely unaware of and I was still able to appreciate. You play as Aarbron, a warrior with an unknown past (you can unlock) that seems linked to the worlds you are exploring, however you have been changed. Now you are unable to understand the language of the beings that speak to you (also an unlock) and the only common tongue seems to be violence. You are a tall, fit warrior with twin spikes protruding from your hands that appear to be made of bone. 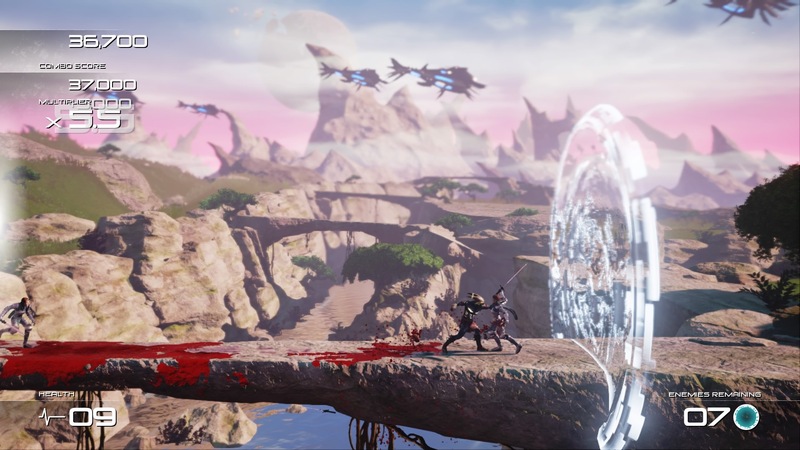 Despite having modern 3D rendered graphics, Shadow of the Beast is a 2D side scroller that will frequently put your navigation and combat skills to the test in a balance of the left and right sides of the screen. I was impressed with how basic the combat system was until your realize that this game, like its protagonist, isn’t bogged down with complexity but rather tactics. You will have to think in the moment to react with the wave of enemies approaching you or you will suffer being volleyed back and forth from a series of foes. It’s daunting at first and by the end of the first level I thought I didn’t stand a chance against the reboot of a title already known for having a punishing difficulty and unfair traps. That’s not the case here, but you will need to practice and learn the full spectrum of your move set through advancement of the campaign and unlockables you purchase between levels. I wasn’t pleased with this decision at first – one my biggest gripes with the MetroidVania formula is that it gates you for not having what you don’t know exists – but these levels are brief and exciting enough that I managed to excuse this decision. By the end of the second level you won’t have the full body of options, but you’ll be robust enough to tackle a majority of the game’s challenges. The system itself is based on three basic moves: attack, stun, and throw, each mapped to a face button. All are useful, but the button masher in you will probably start off just using attack. Later on you’ll learn that the stun attack or throw attack are different ways to halt the wall of enemies coming from one side so that you can deal with the other. In addition L1 acts as a counter that will dispatch of an enemy if your timing is precise, otherwise R1 is a safe block that will always protect you provided you are facing the enemy. Flicking the right stick in either direction will perform a roll move that won’t really protect you from harm, but can generate some distance faster than walking. If you can’t already see where this is going, your enemies will spend their entire time trying to get you when your back is turned and the later you get in the game the smaller that timing gap becomes. By the end there were combat scenarios that almost felt like quick time events without prompts, but coming out one of those encounters is nothing shy of rewarding. These basic offensive and defensive moves are just the beginning, however, because the final and most important mechanic is your blood factor. Whenever you draw blood you have a 3-bar meter that begins to fill, unlocking certain abilities that come at a cost. You can unleash these attacks by holding R2 and pressing a specific face button. Square will start a sequence where you can restore life, triangle increases score, circle is an unlocked move that works as a combo attack. Finally there is your blood combo that uses the full 3 bars of blood but allows you to kill all the enemies coming at you in rapid succession, not to mention a tightly timed series of button presses, with an exponential growth in score. It’s a high risk move because it drains your blood meter, but it also allows you to one-hit all enemies if you can get the timing down, which will be helpful in late levels. I’m sure it feels a bit overwhelming and complicating in this paragraph, but it’s a system you can easily get down after the initial tutorial-like level and spend the rest of the game mastering. Fighting skills alone will not get you through this game, however. As a reboot of an old school title, your score becomes a major factor in not only the items and areas you unlock but your overall ability to excel in the game. Each hit you get results in a multiplier and provided you don’t take damage that will continue to increase. The goal is to never get hit, nail a perfect combo, but sneak in some score boosters along the way to make that score really run. Don’t worry, you’ll never be score gated and even the clumsiest player can get through to the end, albeit without a clue as to what the ending means and (spoilers) you’ll be getting the worst one. You’ll be encouraged to then repeat levels and try to get higher scores on your encounters. This may seem like an unnecessary elongation of the game, but after hours of replaying each level I take to each as a challenge, sometimes ending in an excellent run and sometimes being a waste of time. Old school gamers will most likely be pleased with this mechanic, especially because good or bad you will get mana to upgrade your moves and unlock items, since this is the basis of the classic titles we grew up playing. The resurgence of tougher games that require repeat and practice will hopefully be a good base to a title like this for players without the history of such games. 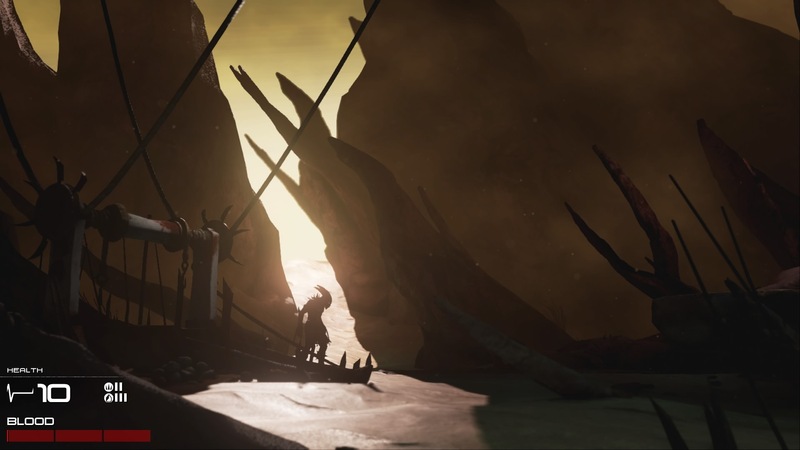 Shadow of the Beast is not a hard game per se, but it can be made that way depending on the choices and unlocks of the player. When all of these factors are merged it creates a cohesive whole of a game where everything it’s trying to do is for a purpose of creating one experience. I feel like most games these days suffer from different teams clearly not communicating with each other and therefore seems pulled in different directions. It was refreshing to see that every choice, every factor, every move you make is for that overarching goal of improving your skills and getting the best ending at the hardest difficulty. That’s a long road that doesn’t necessarily consist of new content, but I concede that it’s a path that still has me hooked and playing this title daily. There’s also a social aspect of the game, likely borrowed from the Souls games, that allows you to assist another player or tear them down a peg. If you tear them down what you really do is a button-mashy mini game that times your speed so there’s no true “invasion” of another player, but it sets the bar for your challenge. They can attempt to best your score, the winner getting rewards and the loser getting humiliated. These results are routed into the PSN system so I’m getting daily updates on when I or other players are humiliated by not being good enough, which to me is a treat. With all of these seemingly careful calculations, there are some decisions that simply baffle me. The first is the fact that you do not learn the plot of the game until you have unlocked all the cutscenes that are collectibles throughout the game. In one regard it’s cool to watch your understanding of the story evolve as you replay the game and gather more information, not to mention that some factors require you to unlock the right tools to get to said cutscene. On the other hand, unless you’re invested in exploring, you may play through the game multiple times and have only pieces of the story. Another of these comes near the end of the game where the mechanics switch up and basically hinder all of the skills you’ve built up to that point. I can’t fathom the value in removing tools or mechanics from a player that you’ve spent a majority of your game building up. Perhaps it’s that this concept was prevalent back when the original released and this is throwing back to those times, but all interviews and coverage about this game has the developer stating they want to improve upon the flaws of the past. It was probably a difficult decision to make, but it really tears you down a few pegs and ramps the challenge significantly as the game comes to a close. On that same topic, difficulty is definitely something not well tweaked and frankly will fluctuate considerably over the course of the game. Sometimes a level will be brutal only to close with a pathetically easy boss or visa versa. There’s also very little communication throughout the game as to what to do and the mechanics of how to battle non-traditional enemies (bosses) are considerably different. This means that you’ll be flailing about trying to figure out how the heck to fight a boss and getting pounded in the process until a message appears a minute or so into the fight that explains the basic mechanic the developers expect for you to fight it. Every time this happened I dispatched of a boss in short order after finally being told how to fight it. The same is true of some unlocks and movesets in regards to levels, you basically have to know in advance that an item is needed in order to bring it into a level, which means that the first time through you are at a disadvantage. Granted, most of what I have expressed to this point is only a factor on your first time through the game, which is going to be clumsy by definition. The engine is also just slightly sluggish, so your movement, button presses, and momentum don’t quite respond with the precision you expect from a game so focused on timing. Thankfully you adjust to this quickly and after about 10 minutes of play you don’t even notice it, but at first you feel like the game is betraying you. I would recommend replaying the first level, which is both short and allows you to grind for a million or so mana, before starting each session. In the end these problems all sound like big issues but result in nothing more than me saying, “what?” in an exasperated tone before using that frustration to tackle the next challenge. Shadow of the Beast is one of the best reboots I have played in a long time. It doesn’t forget the original’s roots – in fact the original game is unlockable as are plenty of other extras that appreciate the original work – and retains more parts of that title (like the health system and parallax scrolling) than you would expect. It does also understand that games have come a long way and goes off in its own direction to create the best experience for today’s players. I don’t even know how you begin to hit that balance but newcomer developer Heavy Spectrum nails it. 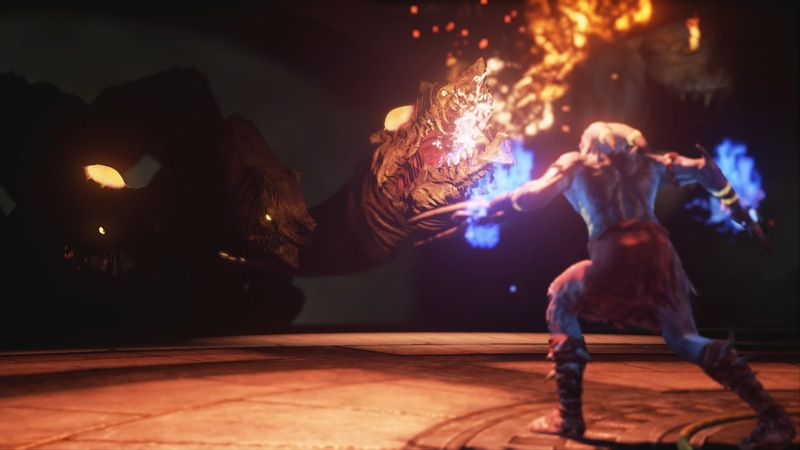 The only shame is that given this title is published and funded by Sony there’s almost no chance we will see it on other platforms, but Shadow of the Beast makes a strong case for the value of exclusivity on consoles. Those looking for an old school action title brought to contemporary design that isn’t a MetroidVania – that genre needs to take a breather – Shadow of the Beast is a definite must play regardless of whether or not you have even played the original. This game was purchased by the reviewer and no code was provided. Shadow of the Beast is available on the Playstation 4 ($19.99 in NA and £11.99 in Europe) digitally via PSN. A disc-based version is also available with English voice and subtitles for Asian regions and available at import retailers. It took approximately 3 hours to beat the first time with an overall play time of approximately 10 hours at time of review, not counting the time spent on the emulated original game. This game is intended to be replayed consistently and therefore your play time will vary depending on the time you wish to dedicate.